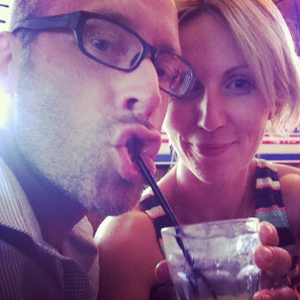 Chris aka ‘that guy’ with his doc wife, Steph. I figured since I’m always on here prattling on about my doc life, it might be different to talk about – or actually, with! – my doc wife, Stephanie. We figured what better way to celebrate our second anniversary – of the podcast, that is – than to have Steph on the show for the first time EVER, since it’s inception back in May of 2016. Steph and I met and started working together back in 2012. But before that, we had lives of our own, which included a combined 25+ years working in film/tv – she in feature narratives in Malaysia and the UK and myself in doc and commercials. 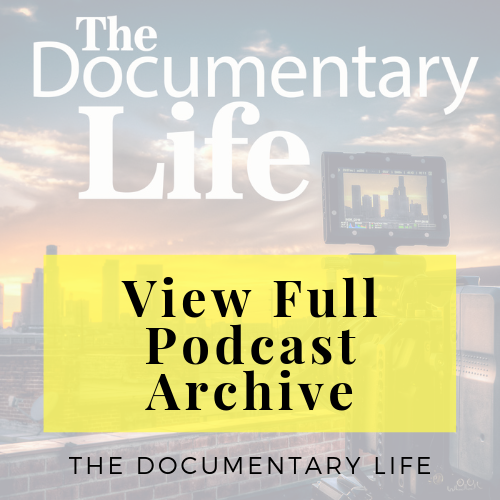 In this episode, we’ll take a look back on not only two years of the podcast, our various documentary project ventures, but also our documentary lives as we know it thus far; which includes – among other things – raising a family of two children while we continue our passions of documentary filmmaking! 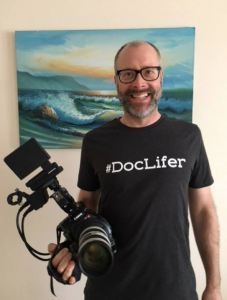 Doc Lifer Tshirts Memorial Day Weekend Sale! Memorial Day Weekend Special on t-shirts! 25 percent off the normal $20 price. That’s $15 (plus $4.99 shipping)..! And that, my fellow #doclifers, is what we call a CRIME and you call a BARGAIN! Not to mention, you’ll look as stylish and attractive as your friendly neighborhood podcast host. So head on over to our online store and grab yours now. T-shirt, that is! As discussed on the episode, here is our baby, The Documentary Academy. 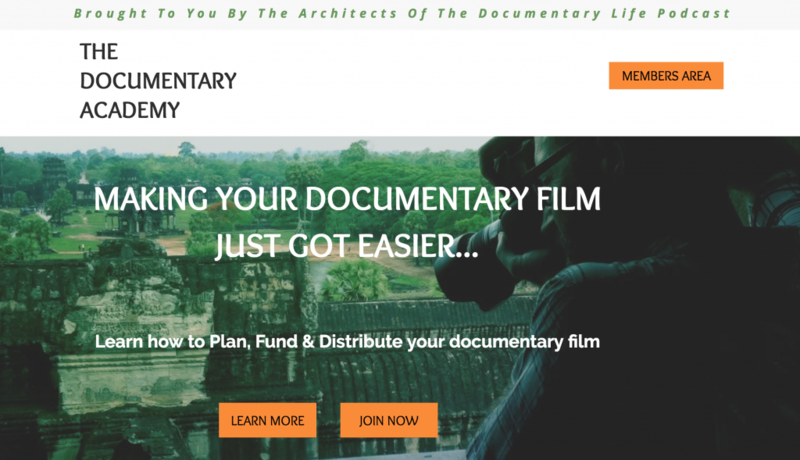 It is a natural evolution of a combined 25+ years experience working in film/tv and two years of hearing about the biggest challenges that doc filmmakers like yourself face with your documentary films, which are Planning, Funding, and Distribution. And The Documentary Academy will walk you through every step of these challenging processes. Enrollment begins in June 2018. Sign up now to be among the first notified of when this happens! 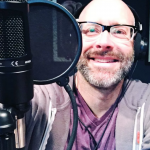 Workshops and Meetups in North Carolina and Philly! Saturday, June 16 WORKSHOP in Charlotte, NC. More details can be found on the Charlotte Film School Meetup page. Who Join a group of 10-15 adults for a day learning from documentary filmmaker Chris G. Parkhurst. When Saturday, June 16th. 11a – 4p. Enjoy an early lunch with us from 11-12! Why Whether you are at the beginning, middle or end of your documentary filmmaking life, there’s plenty to learn from pros like Chris G. Parkhurst. We’ll have a great time! How To register, send an email to julie@franciscanpassages.org Payment is $99 via PayPal. What A meet and greet with documentary filmmakers and founders of The Documentary Life, Chris G. Parkhurst and Stephanie Vincenti. Meet other fans of the podcast and talk shop over a pint (or juice, beer or coffee). Why. Enjoy great conversation, lots of laughs and getting to know fellow DocLifers.